CEO of one of America's biggest electronics store chain 'Brian Dunn' has decided to resign. his decision is being reported to be unexpected and sudden and has proved to be shocking for the employees. the company had recently reported that its revenue was below expectations and 50 of its stores would be closed. While Best Buy admits that they had put on an investigation on the 'Personal Conduct" of Mr Dunn, what they say is "Certain issues were reported regarding the Personal Conduct of the CEO and before the completion of the investigation, Mr Dunn chose to resign". Though the Dunn has not expressed his views on the alleged reports and explanations of the company, he just says, "I have enjoyed every one of my 28 years with this company, and I leave it today in position for a strong future. I am proud of my fellow employees and I wish them the best." 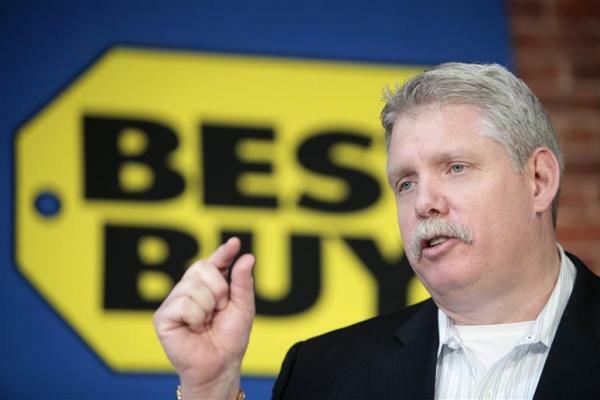 Best Buy has named one of its board members, G. Mike Mikan, as its interim CEO until a permanent replacement is named.